Submitted by Mike Ragogna on Thu, 04/14/2011 - 4:42pm. Submitted by Mike Ragogna on Thu, 04/14/2011 - 4:39pm. Submitted by Mike Ragogna on Wed, 04/13/2011 - 4:42pm. Submitted by Mike Ragogna on Thu, 04/07/2011 - 4:45pm. Submitted by Mike Ragogna on Wed, 04/06/2011 - 4:51pm. Submitted by Mike Ragogna on Thu, 03/31/2011 - 4:30pm. Submitted by Mike Ragogna on Wed, 03/30/2011 - 4:34pm. Submitted by Mike Ragogna on Thu, 03/24/2011 - 3:51pm. Dolores "LaLa" Brooks is Mike Ragogna's featured guest artist. The Crystals are an American vocal group based in New York, considered one of the defining acts of the girl group era of the first half of the 1960s. Submitted by Mike Ragogna on Wed, 03/23/2011 - 4:16pm. Submitted by Mike Ragogna on Tue, 03/22/2011 - 1:26pm. 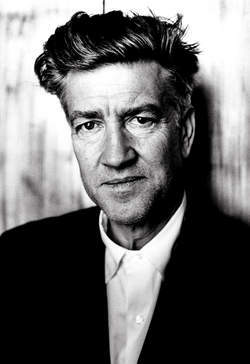 Mike Ragogna interviews filmmaker and iconic American artist David Lynch about his special project that is happening today. He will be producing a web-based filmic event with rockers Duran Duran from Los Angeles. Tickets for the 'Unstaged: An Original Series from American Express' show reportedly sold out in less than five minutes. 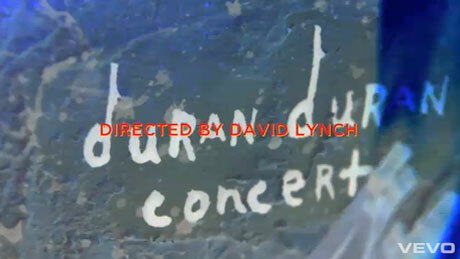 The concert will be streamed live on March 23rd at 9pm CST on Duran Duran's Vevo page. Submitted by Mike Ragogna on Thu, 03/17/2011 - 4:24pm. Founding member of Blues Traveller, John Popper, talks with Mike Ragogna. "John Popper & The Duskray Troubadours", a new side project, is his new album out this month. He talks about his life, music career, and what's in store for Blues Traveller. Submitted by Mike Ragogna on Wed, 03/16/2011 - 4:48pm. Submitted by Mike Ragogna on Wed, 03/16/2011 - 4:30pm. Submitted by Mike Ragogna on Mon, 03/14/2011 - 4:51pm. Submitted by Mike Ragogna on Mon, 03/14/2011 - 3:12pm. Submitted by Mike Ragogna on Thu, 03/10/2011 - 3:49pm. Submitted by Mike Ragogna on Wed, 03/09/2011 - 4:45pm. Submitted by Mike Ragogna on Thu, 03/03/2011 - 4:48pm. Submitted by Mike Ragogna on Wed, 03/02/2011 - 3:53pm. Submitted by Mike Ragogna on Fri, 02/25/2011 - 4:06pm. At 8 AM on Friday, Mike talks with John Waite, best known for his huge hits, "Missing You" and "Change".He first came to be known for being the bassist and lead singer for the British rock group, The Babys. He has since gone on to a successful solo career. His new album, "Rough & Tumble" releases this week. Submitted by Mike Ragogna on Thu, 02/24/2011 - 4:53pm. Graham Parker discusses his long-stretching musical career and new live dvd "Graham Parker & The Figgs: Live at the FTC." Graham first recieved notoriety in the mid-'70s as leader of the group, Graham Parker and The Rumour. Since then he has not slowed down releasing music and performing. Submitted by Mike Ragogna on Thu, 02/17/2011 - 5:44pm. Submitted by Mike Ragogna on Wed, 02/16/2011 - 5:04pm. Two minds in love, Stan and Hunter Freberg discuss their new comedy cd "Songs In the Key of Freberg", their relationship, and Stan's career, which has encompassed animation, tv, radio, comedy records, advertising and beyond. Stan is a member of the Radio Hall of Fame, Animation Hall of Fame, and has his own star on The Hollywood Walk of Fame. He is perhaps best known for his comedy records: "Stan Freberg Presents the United States of America", "St. George and the Dragonet", "John and Marsha", and many more. Stan has also been credited as bringing comedy to advertising. Stan also created the word "Grammy" for the Grammy awards. Submitted by Mike Ragogna on Wed, 02/16/2011 - 4:26pm. Submitted by Mike Ragogna on Thu, 02/10/2011 - 5:40pm. An engaging conversation with seminal Nashville artist Mac Gayden who will be performing with his group Sweetwater at the Sondheim Center this Saturday, Feb 12th at 7:30pm. Mac is the co-writer of the rock classic "Everlasting Love' and has played on records by Dylan, Elvis, JJ Cale and many more rock'n'roll luminaries. He is a 5th generation Nashvillian who grew up down the street from the Everly Brothers, rode home from school with Hank WIlliams, Sr, and has the sweetest touch on slide guitar this side of anywhere. He is a wonderful songwriter with a soulful voice. Submitted by Mike Ragogna on Wed, 02/09/2011 - 5:41pm. Submitted by Mike Ragogna on Wed, 02/09/2011 - 5:08pm. Submitted by Mike Ragogna on Thu, 02/03/2011 - 5:55pm. Submitted by Mike Ragogna on Thu, 02/03/2011 - 5:47pm. Conversations with brother Timmins of the Cowboy Junkies, who are also sporting new trackage. Submitted by Mike Ragogna on Wed, 02/02/2011 - 5:11pm. Legendary southern rock pioneer Gregg Allman talks about his new blues project "Low Country Blues" with Huffington Post's Mike Ragogna.